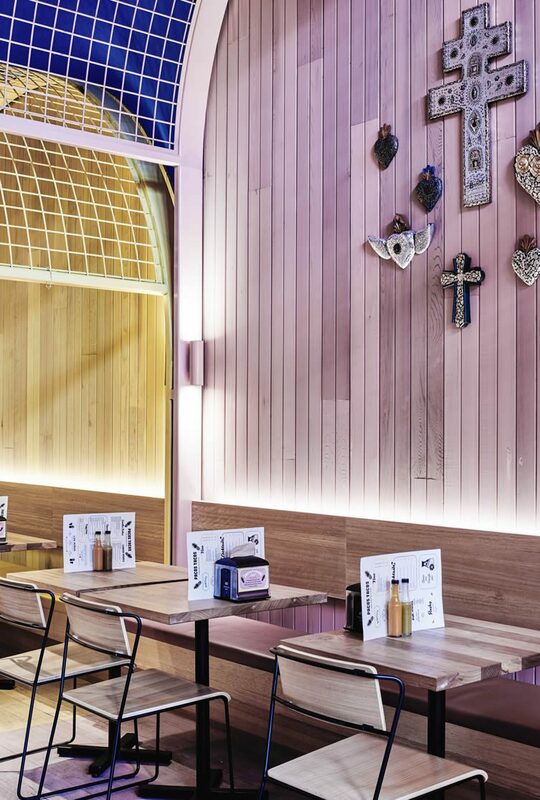 Embracing the authentic foundations of real Mexican street culture — family, friends, and fun — famed Melbourne tapas bar MoVida enlisted Technē Architecture and Interior Design to give the second outlet of their taqueria offshoot Paco’s Tacos the same pop of colour and character associated with their CBD debut. 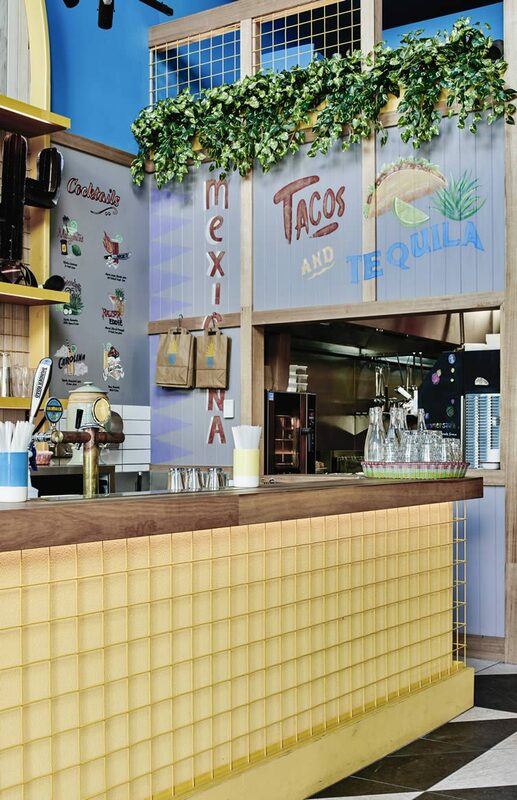 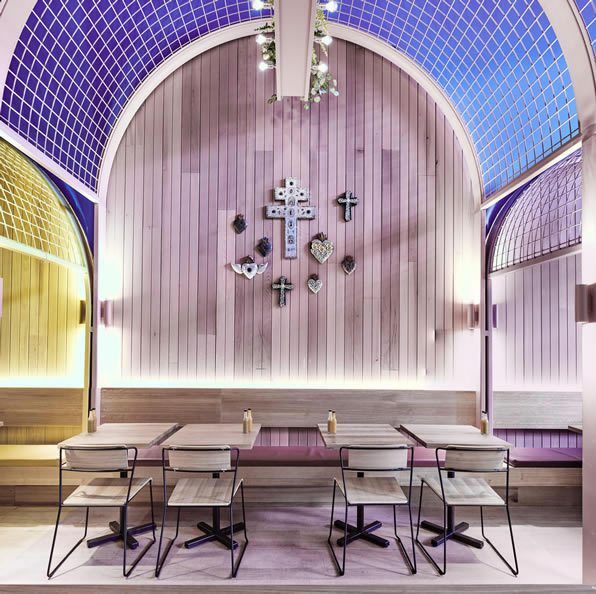 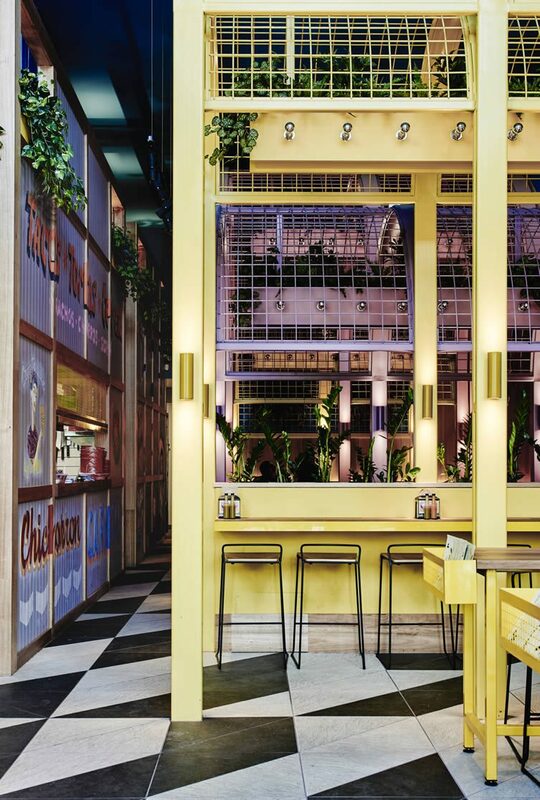 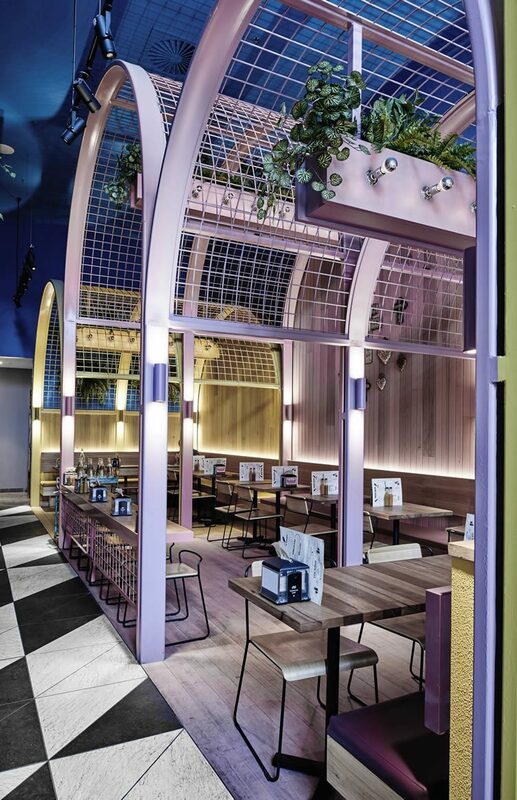 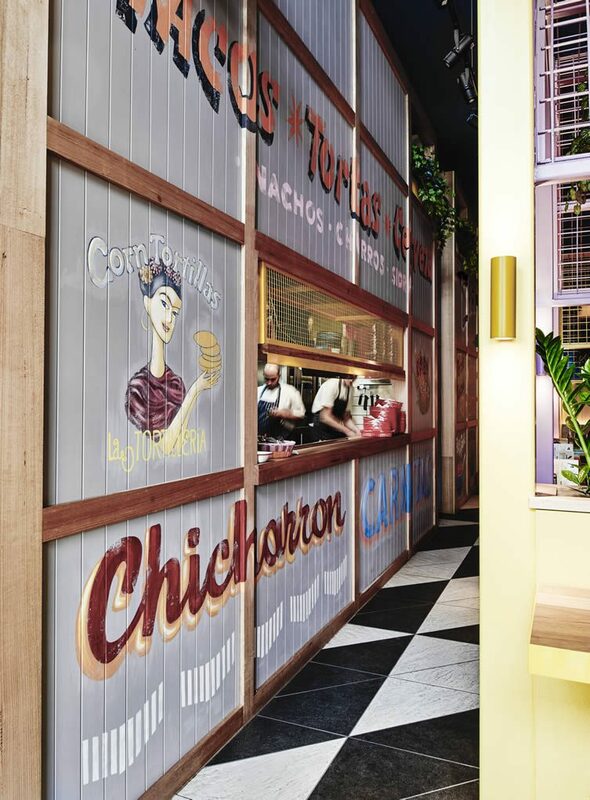 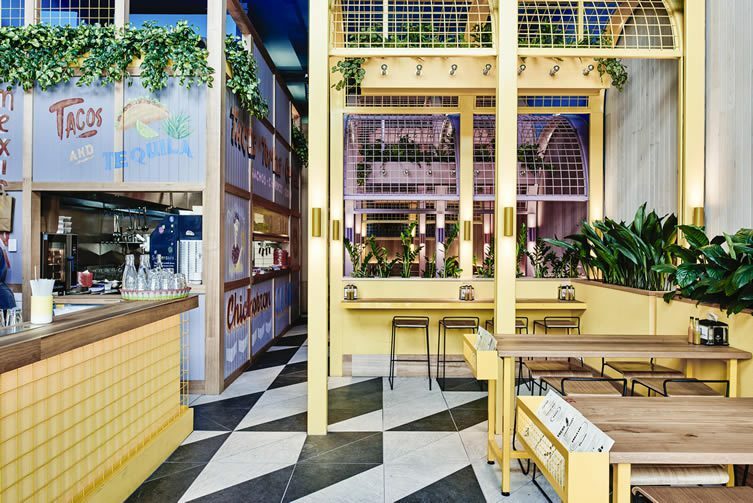 Located in the Ringwood suburb, at Eastlands Shopping Centre’s new ‘Town Square’, Technē have worked closely with the MoVida/Paco’s team to create a design centred around the yellow that defines their original taqueria, along with block shades of blue and pink that take their cues from Luis Barragán; the revered Mexican architect who revolutionised modern architecture in his country with direct references to the coloured façades found in traditional Mexican architecture. 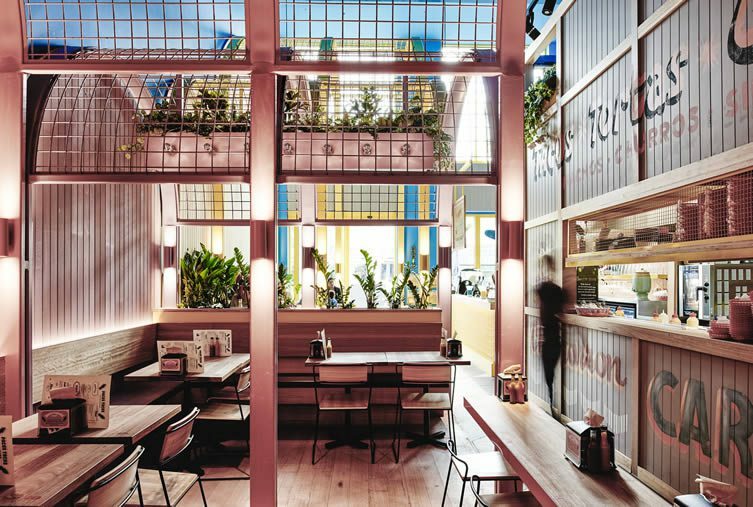 Evoking the unconfined feeling an open-air piazza, thanks to the Melbourne-based designers teaming up with Ayus Bontanical, Paco’s Tacos’ Eastlands outpost it a breezy environ with a real sense of all that has inspired it: ‘it’s our mission to create sustainable spaces that will stand test of time, so we’ve used extremely durable materials while still making the space comfortable for patrons,’ explains Technē senior interior designer, Jonny Mitchell. 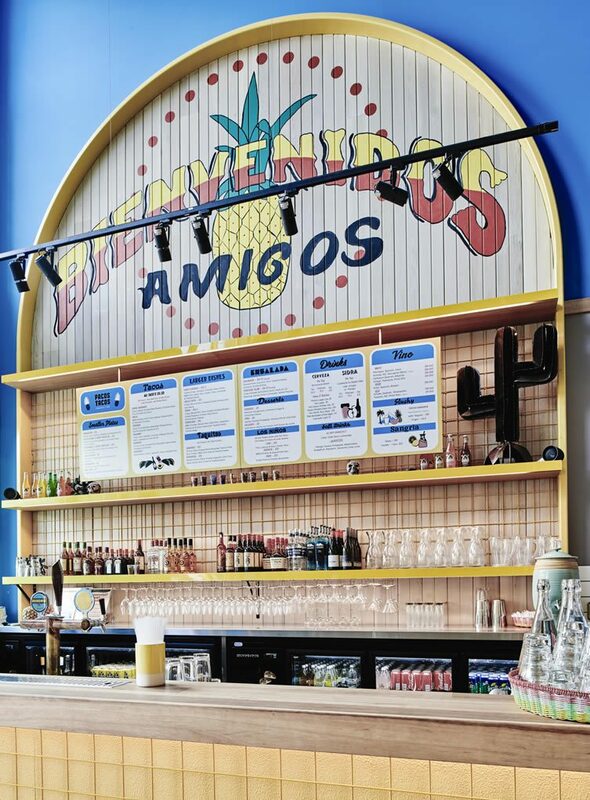 Fun touches, like a projector that screens vintage Mexican flicks, mirror the playful nature of traditional Mexican dining whilst you chow down on authentic street food that’s healthy, fast, and delicious; flowing craft beers, classic margaritas, fine wines, and sangria completing the bona fide experience.